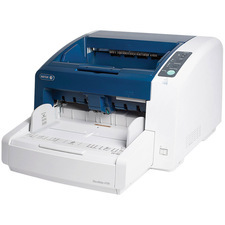 The Xerox DocuMate 3125 is an A4 desktop document scanner with speeds of 25 ppm and 44 ipm in black and white, grayscale and color at 200 or 300 dpi. 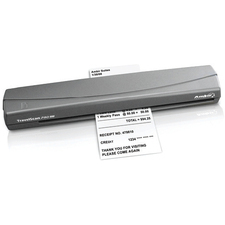 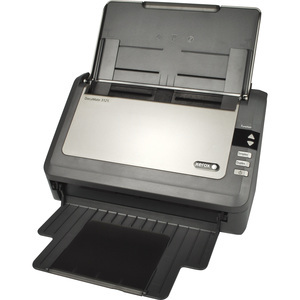 This durable scanner supports a daily duty cycle of 3,000 pages, proving it can work as hard as you need it to. 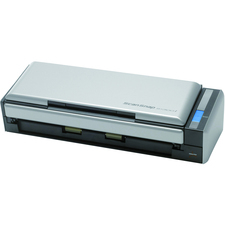 The CIS (contact image sensor) and LED light source provide efficient energy use, helping to lower operating costs.